Get the best protection for your basement. A TripleSafe® Sump Pump System (shown here) represents the ultimate in basement waterproofing. At McInroy Basement Systems, we understand that a basement represents a very large section of space in your home. If you live in a one-story home, your basement could be half of your total square footage! Locally Owned And Operated Contractors: McInroy Basement Systems is locally owned and operated and has been in business since 2003. They're a stable, well-established company that's there when you need them! 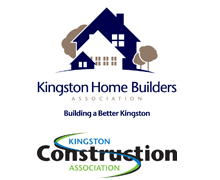 If you live in Picton, Kingston, Belleville or nearby, we're the contractors for you! We offer free basement waterproofing quotes to homeowners within our service area.